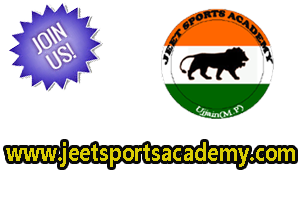 One of the best sports academy in Ujjain, Madhya Pradesh is "Jeet Sports Academy". This academy is continuously working in the field of sports education and training for the years. 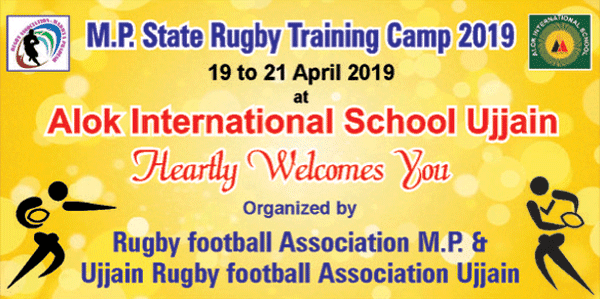 Not only this but "Khel Academy" also arrange tournaments at national level in different places of India time to time. Except this Yoga and fitness training is also provided to people who are interested in living a healthy life by maintaining there mind and body fit. This is the banner under which karate students take training in Jeet sports academy. 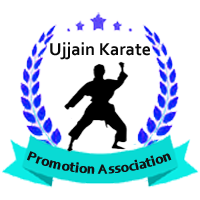 "Ujjain Karate Promotion Association" give best training to students to make them professionals. To make aware people about this defensive arts including villages in India too. To train male and female students in defensive arts and make them strong. To arrange national level Karate championship and motivate students to show there talents at global level. Ujjain karate association also train ladies and make them strong to face the challenges of life. To train the disabled children in defensive arts. To arrange karate training program, workshop at district and national level. To open karate training centre in different places in India. To ready students to give best for nation. Under this name Jeet Sports Academy give training to Jump rope students and generating professionals who are showing talents at national and international level. One student has got a place in Golden Book Of World Record recently. Her name is Soumya Agrawal. To spread awareness about jump rope. To train students to show there talents at national and international level. To develop new techniques of jump rope game. To arrange championship at national and international level of jump rope time to time. To open jump rope training center in different places in India. So Jeet Sports Academy(one of the best sports academy) in Ujjain is continuously working in sports segment and generating experts in different sports. Join the best sports academy to make career in sports, to live a healthy and happy life.